Looking like a piece of jewelry from a Steampunk convention, a new wrist sensor is coming out of Rutgers, the State University of New Jersey that can measure your the cell count of your blood. Researchers developed the wearable, which was made by wrapping a wide piece of circuit board around the wrist and studding the surface with gold electrodes instead of jewels. The entire wristband works to get information to doctors via Bluetooth through an Android application on a smartphone. Anyone interested in donning this wired cuff should be aware, however, that they need to play a role in collecting their own data. Wearers have to actively prick their own skin to draw blood and then put the sample into micro chambers on the device. Ultimately, though, researchers say they imagine automating that process by "fabricating minimally invasive microneedle or catheter-based impedance sensors" which could then "continuously sampling venous blood using a wearable cytometry platform for readout." Researchers are eager to tap into ways to capture data from the body just from a wearable device, like this one from Rutgers, rather than have patients have to constantly walk into a doctor's office or physical lab. The University of Cincinnati, for example, devised a wearable that picked up glucose levels and even cortisol spikes in sweat, while MIT and Microsoft researchers have played with temporary tattoos that can change color depending on the skin temperature of the person wearing one. Putting health data collection into the hands of consumers is actually of interest to device makers, which in some cases are crossing over into the medical arena. Take Apple, for example, which is encouraging its iPhone users to store their clinical health records on their smartphones. There are now 78 medical centers, from UCLA to Mount Sinai participating in the Health Records program, double the number when the feature, still in beta, launched in March of this year. 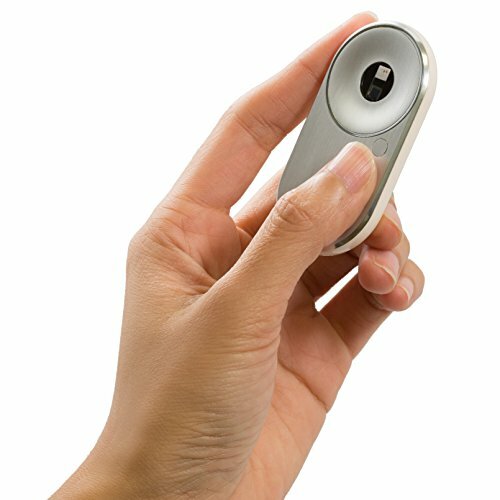 While the initial research for the device from Rutgers University studied the number of blood cells in a single reading, researchers say the wearable could be tuned to read "a wide variety of biomarkers," they wrote in the "Microsystems & Nanoengineering" publication, which published their work.